Apple’s shopping spree continues apace. VentureBeat reports—and AllThingsD confirms—that Cupertino has acquired Matcha.tv, a service that provided information on where to watch TV shows, whether it be online or via traditional TV providers, in addition to a social networking component. According to VentureBeat, the deal was worth between and $1 million and $1.5 million. As usual, Apple’s not saying precisely why it purchased the company, which shut down in May of this year, though given Matcha’s area of expertise, rumors will immediately gravitate towards the perpetually mythical Apple TV set. However, if Apple did indeed purchase the company for its technology and not just, say, its personnel, Matcha’s service could provide a valuable addition to the current Apple TV set-top box. With the preponderance of streaming services, we’ve passed the inflection point of trying to get consumers to try this newfangled online video-watching; instead, the barrier for consumers has become figuring out on which of those many sites you can stream or buy the show you want to watch. That’s a process that can require a bit of a knack to figure out, and often requires the use of a service like Can I Stream It or Matcha. 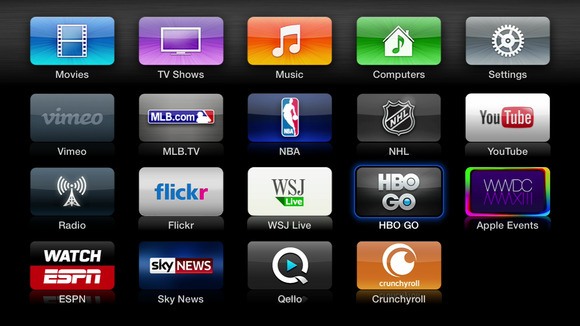 Even the Apple TV’s simple interface could benefit from a central clearinghouse where users could quickly determine which of the many icons on the screen is the key to the latest episodes of Breaking Bad or Game of Thrones. Such a service could help shift the Apple TV from being just another television accessory towards becoming an entry portal for video consumption. And, as more networks and content providers appear on the Apple TV, the grid-of-icons interface becomes increasingly unwieldy for would-be watchers. Such an ability could also further help set the Apple TV apart from its competitors, like Google’s recently launched Chromecast. The Roku set-top box already has a similar search feature that works with several of the services it supports; there’s no reason Apple shouldn’t be able to provide a similar option for its own users. Granted, with Apple’s acquisitions, it’s always hard to tell exactly what might come out the other end of the Cupertino meat grinder. For every acquisition of a Siri, which led to, well, Siri, there’s a Chomp, whose impact isn’t immediately obvious. It’s possible that the purchase of Matcha was focused on some other factor, such as bulking up the company’s talent pool. But given that Apple clearly is interested in the video space, it’s hardly a longshot to surmise that Matcha’s capabilities could roll into the existing Apple TV or some other video-related product coming down the road.